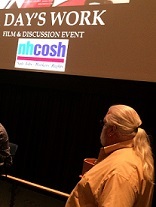 On Tuesday, April 26, 2016 NH COSH remembered 11 New Hampshire workers who died on the job in 2015. 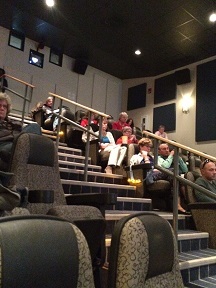 Families of two of the workers joined NH Labor Commissioner Jim Craig and Rosemarie Cole of OSHA as well as many people from the community who care about worker safety for a buffet dinner and celebration of the lives of lost loved ones. 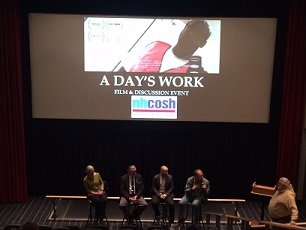 On Thursday, April 28, 2016 NH COSH hosted the New Hampshire premier of the documentary A Day's Work. The documentary tells the story of 21-year-old Day Davis who was killed on his first day of work at his first job as a temporary worker at the Bacardi plant in Jacksonville and investigates the troubling issues that led to Day's death and how the $100 billion temporary staffing industry is putting millions of American workers at risk. 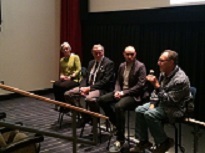 Following the screening, the filmmaker Dave DeSario joined NH State Representative Mike Cahill, Judy Stadtman of the NH AFL-CIO and Professor George Gonos from Florida Atlantic University to discuss the film.